Divine Orchid eau fraiche is a soothing floral water with top notes of pear brandy and peach joined to a mid note of hawthorn and Florentine iris. The light refreshing spray also includes notes of patchouli and vanilla. A calm, relaxing scent. 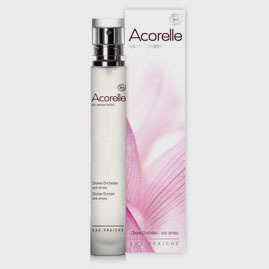 Fine French Floral Water—made with organic alcohol and 100% natural fragrance materials. No synthetic fragrance. No phthalates. Ingredients: Organic Alcohol 80% vol., water, fragrance.